For all the talk of renewed ambition and 'making our own luck', the appointment of Steve McClaren as head coach by Newcastle, appears to answer the question about Mike Ashley quite succinctly. Can a leopard really change his spots? No, no he can't. That isn’t to say the arrival of McClaren at St James’ Park is necessarily a prelude to disaster. He’s not a bad manager, but for too long the club has operated on a principle of adequacy rather than with any real verve or aspiration. Indeed, it seems the remit of Newcastle these days is one that centres on a contentment to simply coast. Last season’s brush with relegation was unplanned, of course, a monumental backfire of the policy of doing things on the cheap. And naturally, the exit of former boss Alan Pardew, for all his faults, didn’t help; chiefly because his replacement was John Carver. But in any case, don’t be fooled into thinking that last term’s catastrophe will bring about radical change. While it was a wakeup call to improve for sure, it would be difficult not to improve on the club’s worst run of top-flight form for over a century. A few players will be bought, though unlikely any of particular significance. Over paying for Charlie Austin is probably going to be as good as it gets. In fairness, Austin would be a decent signing, in the same breath as McClaren isn’t a bad head coach, yet with this so-called ‘new era’, there seems to be an enduring feeling of constriction. 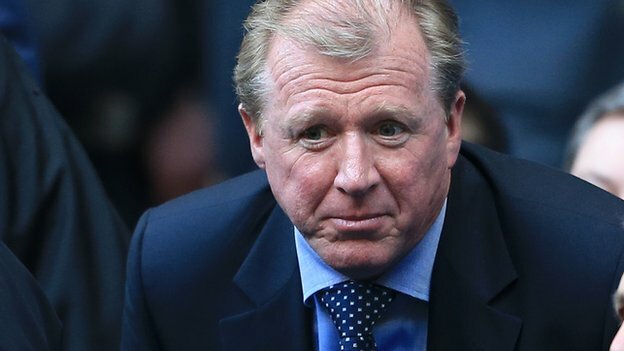 McClaren’s been briefed in advance that he won’t have the final say over transfers and although the official party line on cup competitions might have been revised, again, don’t believe anything until you see it. Newcastle fans are for the most part not outraged by the decision to hire McClaren, they are simply underwhelmed. Regardless of the 15th placed finish last season or the 16th placed finish two years ago, it had been hoped that the 19th richest club in world football with average ticket gates exceeding the likes of Manchester City, Inter Milan and Liverpool, could afford to attract a name of some sort, or at the very least might try to. The frustration is not really that Newcastle decided on McClaren, it’s that there appeared to be so many unexplored alternatives, even after managing director Lee Charnley claimed there were 80 candidates interested in the role. Despite what Craig Bellamy thinks, Geordies are under no delusions that their club is not what it once was. They know all too well that the days of Alan Shearer, David Ginola and Peter Beardsley have come and gone. Still, Newcastle remains one of the English game’s sleeping giants. To some, that’ll seem an unbearable cliché, but only because it has been allowed it become one. When Newcastle finished fifth in the 2011-12 campaign, it was an insight into what is possible, but rather than invest and build on that achievement, in the years since the club has moved to routinely sell its best players and willingly consign itself to mid-table. Realistically, the vast majority of Newcastle fans don’t expect top four or top six. Nevertheless, given the amount of money swirling around the club, it is disappointing that they aren’t even producing back-to-back seasons in the top half. In the immediate future, that’s what fans would like to see with the long-term aim being a return to the Europa League. So, what’s to say McClaren won’t deliver that? Admittedly, he may yet prove all of his doubters wrong, but supporters can only go by what’s come before. His CV is certainly a mixed bag. The five-year spell in charge of Middlesbrough which yielded a League Cup win and an appearance in the Europa League final or the Eredivisie title triumph with Twente are duly counterposed by less than desirable stints at the helm of England, Wolfsburg and Nottingham Forrest. His last job saw him sacked by Derby County after he failed to guide them to promotion. McClaren will receive backing from Newcastle’s fans, initially anyway, and won’t be judged until after an extended run of results are in. There is no hiding from the fact though, that he was never their first choice. At a crucial crossroads for the club that demanded an injection of fresh ideas and personality, Ashley has once again gone for the easiest option. Cutting corners by not pressing F7. It’s not cutting corners it’s just a typo.